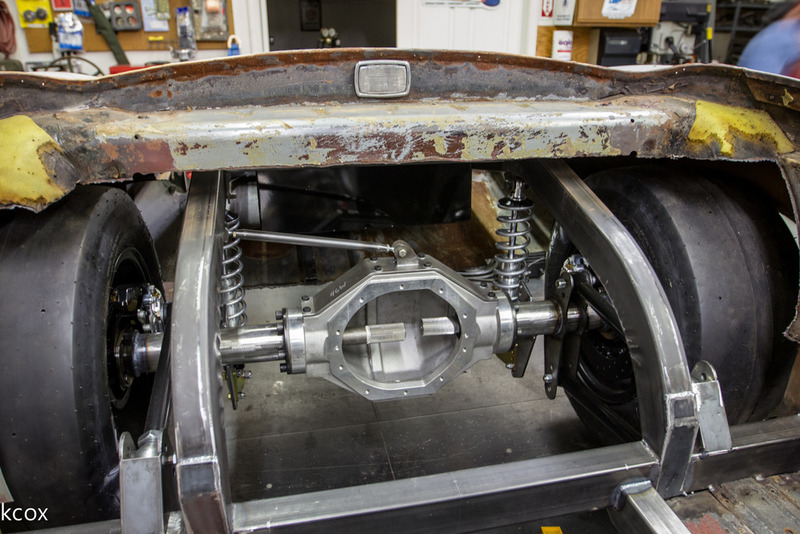 From front to rear full suspension & chassis solutions, restorations, to turn-key custom builds: UTP does it all. Project Ramblur chassis, steering, brake, and suspension work has officially been finished up at UTP Racecars. The car is off for final details. December 7th: Updated Project Section to include a 1964 Ford Fairlane 10.5 Outlaw, and a ProTouring 1968 Mercury Cougar. Click here to see the latest in the project section. 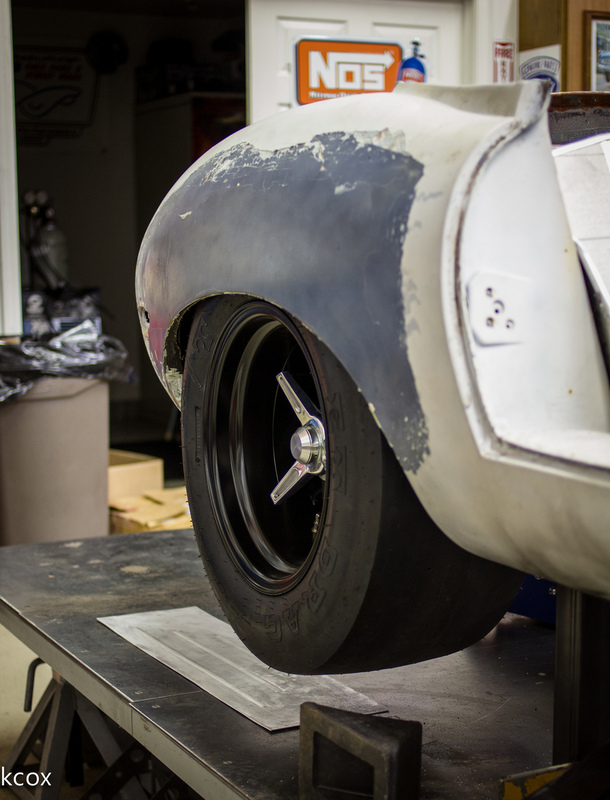 1970 Jaguar E-Type Chassis build: Beginning with a set of BRM knock-off center wheels, the Chassis was designed around the stance with consideration for the massive 8.4 Liter Dodge Viper V10 Powertrain and Tremec T56 Transmission. 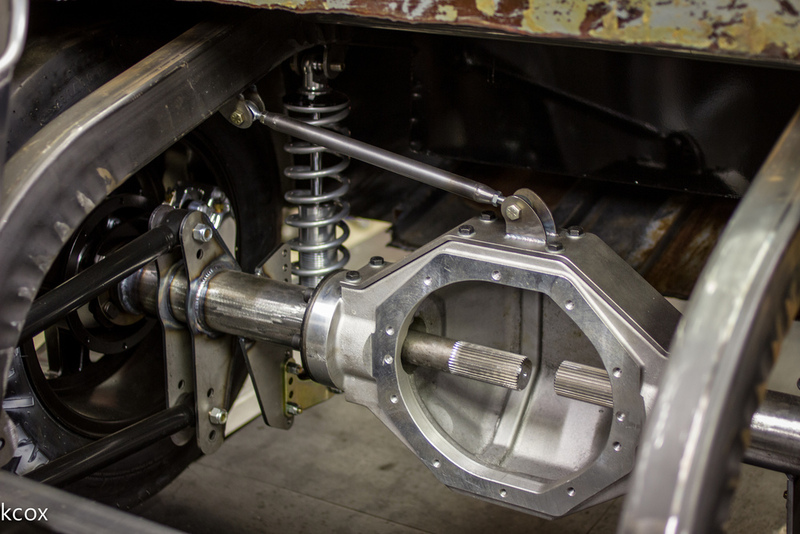 A UTP custom 9" Rear End Housing and Moser axles were utilized with a Strange Engineering Center Section. 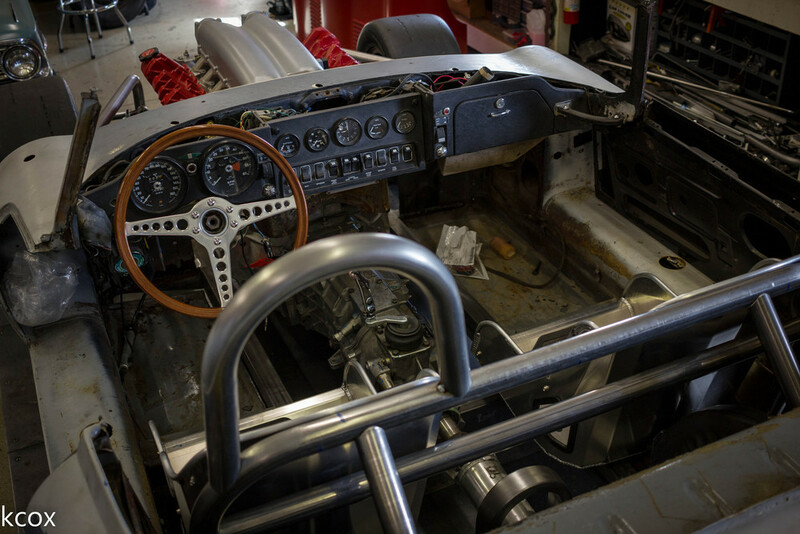 Per the owner's request a unique Roll Cage was designed to mimic the road racers of the 1970s era. Photography courtesy of Ken Cox.